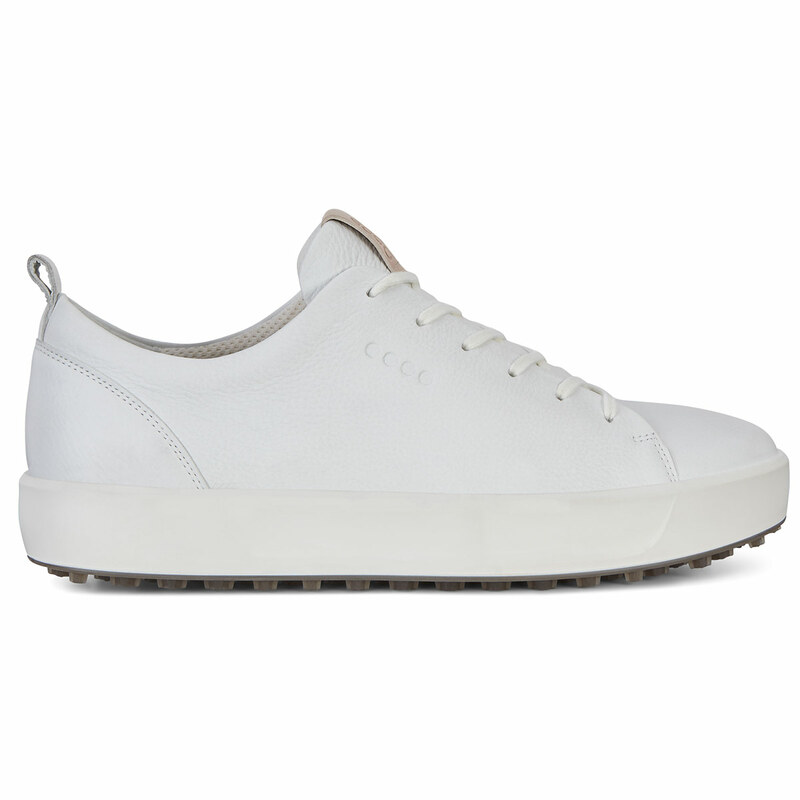 This versatile ECCO golf shoe is soft and supple to give you a more natural feel, with innovative technology to help you power you through the golf swing with ease. 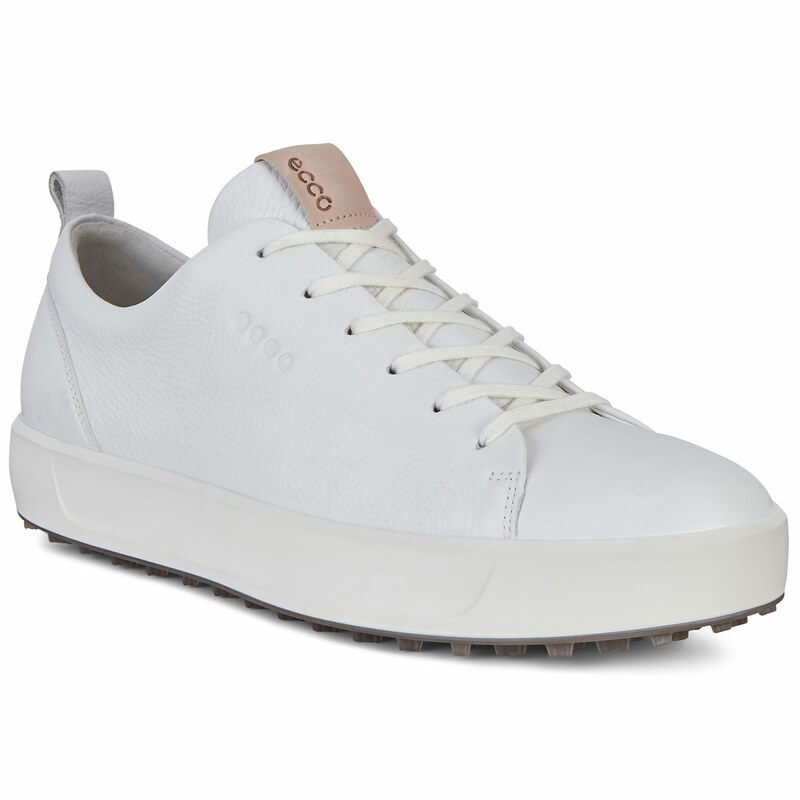 The ECCO production team have created a shoe with a fluffy pebble Nappa leather that is not only durable but also comfortable to wear making it a perfect shoe for any golfer. The upper is also treated with HYDROMAX® to make these upper highly water-repellent to keep your feet dry and comfortable. 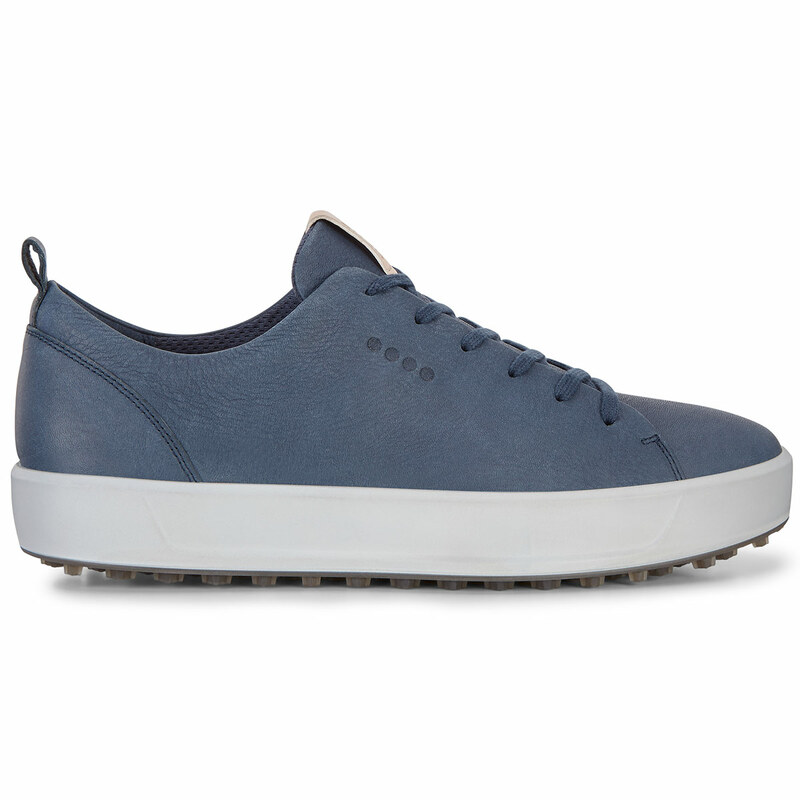 Instead of a traditional spike layout, this spikeless shoe benefits from 100 TPU traction bars, giving you maximum grip as you swing the club. 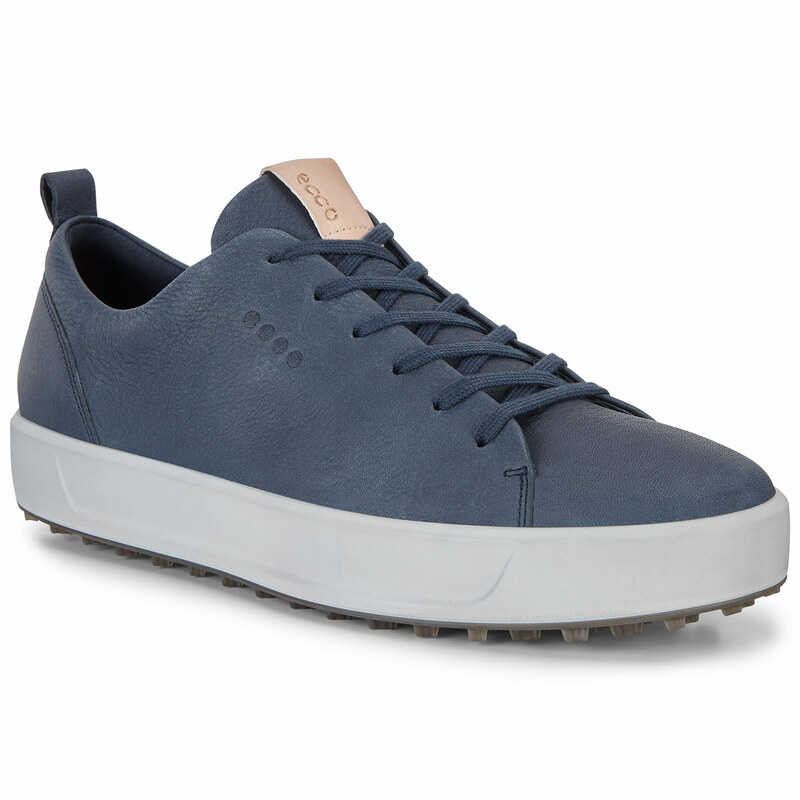 Plus a FLUIDFORM™ stability cage wraps around the heel, through to the midsole and across the toe, for for the perfect platform to play golf. 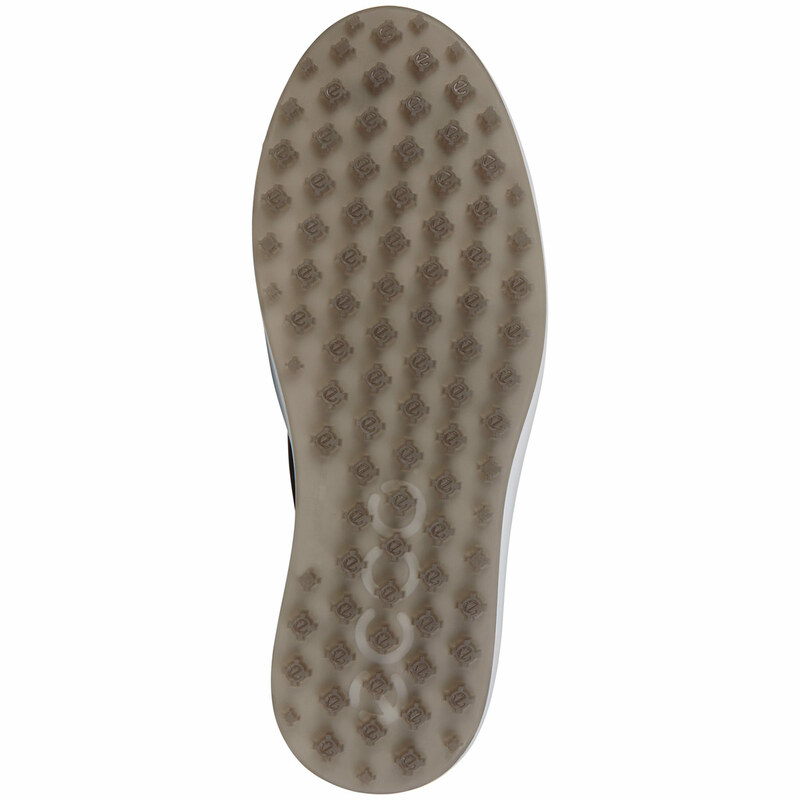 These shoes come with a removable and washable Ortholite® inlay sole, this provides long-term cushioning and enhanced breathability for total walking pleasure. 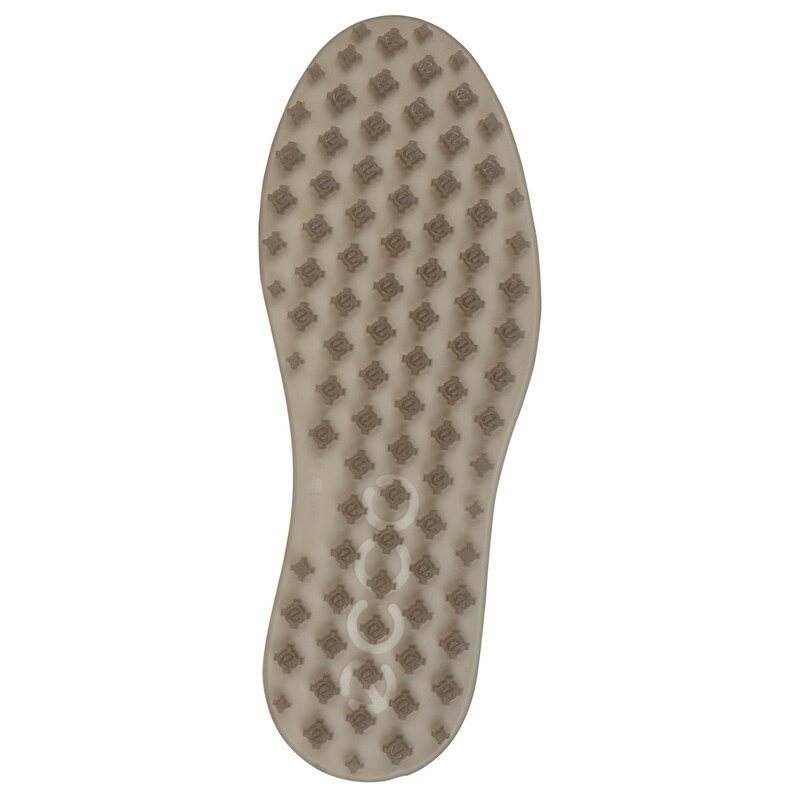 This inlay sole also gives the golfer extra width when removed, to give you another option if required.